As reported in the Financial Times today, GlaxoSmithKline (GSK) has announced it aims to sign up 10 academic 'superstars' for long term partnerships to develop medicines more cost effectively. 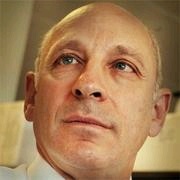 UCL Business is delighted to announce that the first academic 'superstar' to be chosen is Professor Mark Pepys (UCL Division of Medicine). Professor Pepys said: "It's a wonderful idea and we are delighted to be working with GSK to develop new medicines for patients." GSK aims to work closely with leading external medical researchers until the launch of a new drug. This will allow GSK to tap their expertise while providing them with facilities, funding and incentives to be paid if a treatment proves successful. UCL and GSK join forces to develop combined small molecule-antibody treatment for rare disease. Pentraxin Therapeutics Ltd is a company spun out of UCL by UCL Business (UCLB). Formed in 2001, it holds all the intellectual property and proprietary knowledge emanating from the research of Professor Mark Pepys at UCL. Major IP within Pentraxin covers treatments for amyloidosis and amyloid-related diseases such as Alzheimer's disease and type II diabetes, as well as targeting the pathogenic effects of C‑reactive protein in cardiovascular disease and inflammatory diseases. GlaxoSmithKline - one of the world's leading research-based pharmaceutical and healthcare companies - is committed to improving the quality of human life by enabling people to do more, feel better and live longer. For company information, visit GlaxoSmithKline at www.gsk.com. UCL Business plc is responsible for commercialising innovations arising from the research base at University College London, one of the UK's leading research-led universities. UCL Business undertakes a broad range of knowledge transfer activities, covering the facilitation of consultancy and collaborative research engagements through to technology transfer, company incubation and investment. More information on UCL Business can be found at www.uclb.com.